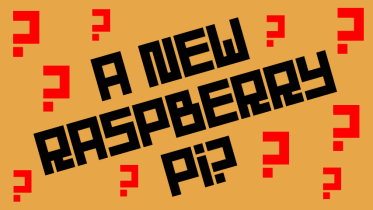 The Pi Crust was one of the first things I purchased on Kickstarter, having not heard of the website before. 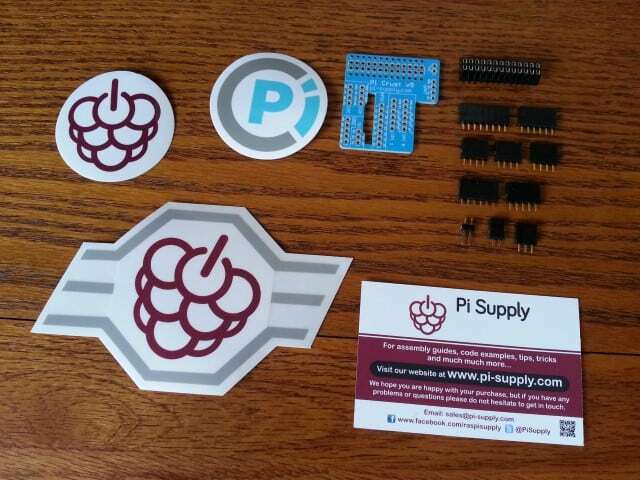 I was a little apprehensive and didn’t really understand how it worked, but alas here I am with my Pi Crust kit from the clever folk over at Pi-Supply.com. In this post i’ll show you the build process with pictures, hopefully helping you to decide if it’s for you, or even just as a hand with setting it up. Pi Crust: What is it? Why do I want it? 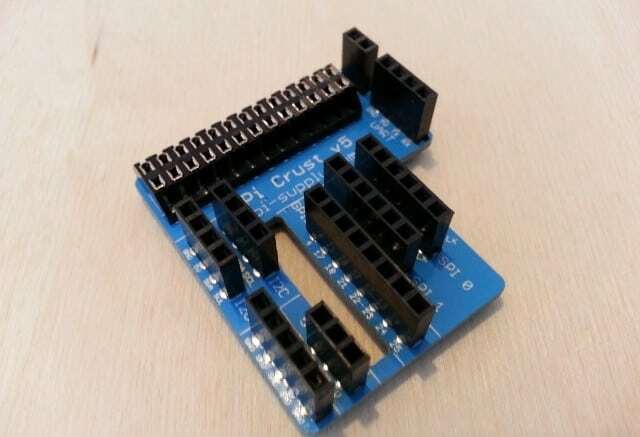 The Pi Crust is a small inexpensive breakout board designed for the Raspberry Pi, allowing you to easily connect jumper wires for prototyping. The different GPIO pin sections are split out into seperate header banks to make it a lot easier to quickly find the pins you’re looking for (no more counting across the GPIO pins). 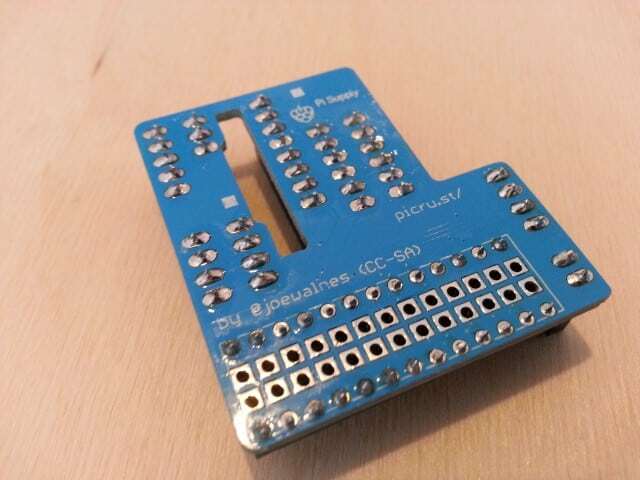 Whilst splitting out and labelling the GPIO is handy, it also gives you more pins than you would usually have for GND, 5V and the I2C connections, allowing you to expand your project with even more connections direct from the breakout board. One of the unique features of this particular breakout board is its low profile. 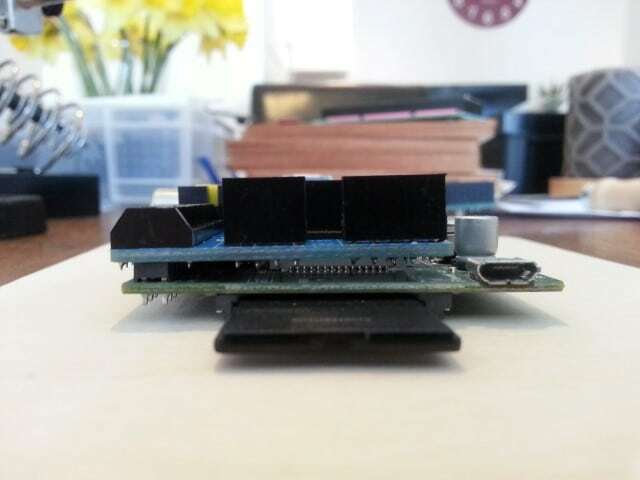 Unlike similar boards that mount above the GPIO, the Pi Crust sits low just millimetres from the Pi thanks to the GPIO connector used. 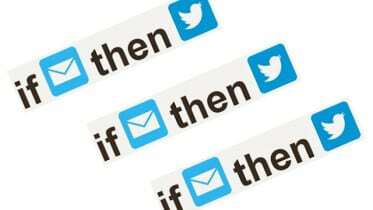 This keeps things tidy, and just looks cool. Things have to look cool in our projects – us ‘makers’ need all the help we can get with street cred! “Small is cool”! The Kit: What’s in the bag? My kit came from Kickstarter, including bonus stickers and the blue PCB. I’m not sure if the retail kits are the same, but the parts will be the same regardless of colour. Putting it together: Solder time! I’ve had this kit sitting in my drawer for months, being ignored like the rest of my Raspberry Pi stuff as the start of 2014 has been very busy for me. Things have settled down now, so I was eager to put it all together. Construction is pretty simple, just look at the stock images and solder the header units the same way. 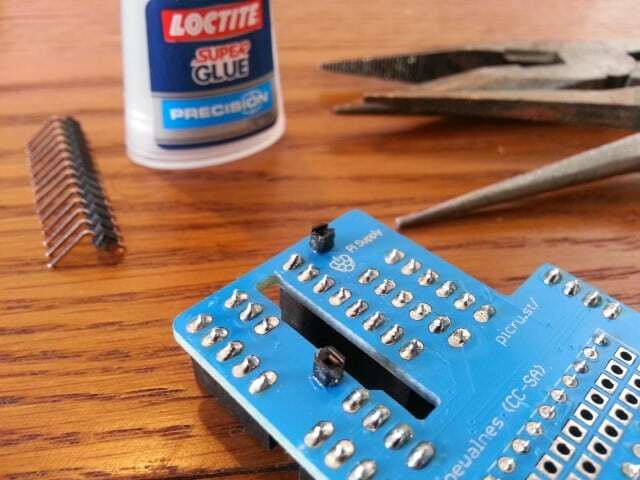 You can’t really go wrong apart from perhaps soldering the wrong side. As long as the “Pi Crust” text is facing upwards, you’ll be fine. …and before I knew it, had soldered the lot. 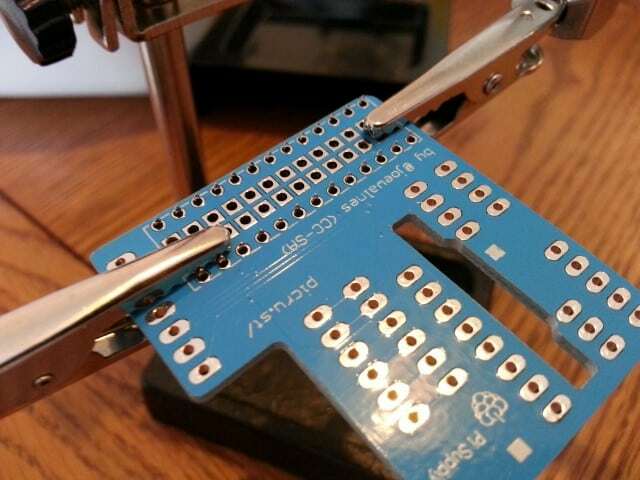 Just make sure you get the headers straight before soldering every pin. I like to start with the first pin, check it’s straight (and resolder if not) and then solder the opposite pin on the other side to ensure it will stay in the same position whilst you solder the rest. 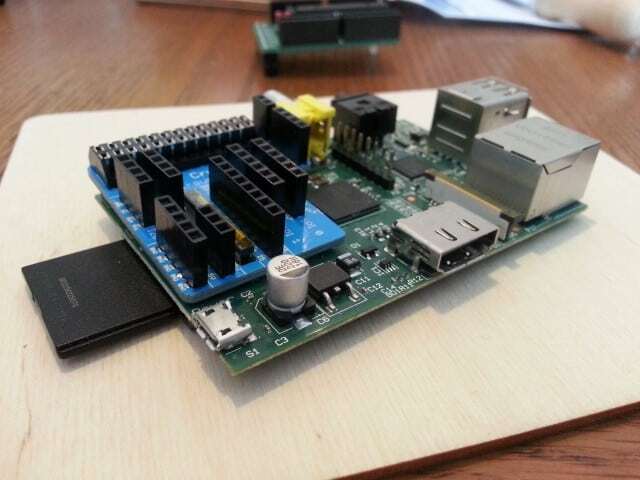 Like most breakout boards for the Raspberry Pi, fitting the Pi Crust is as simple as pushing it on to the GPIO pins. 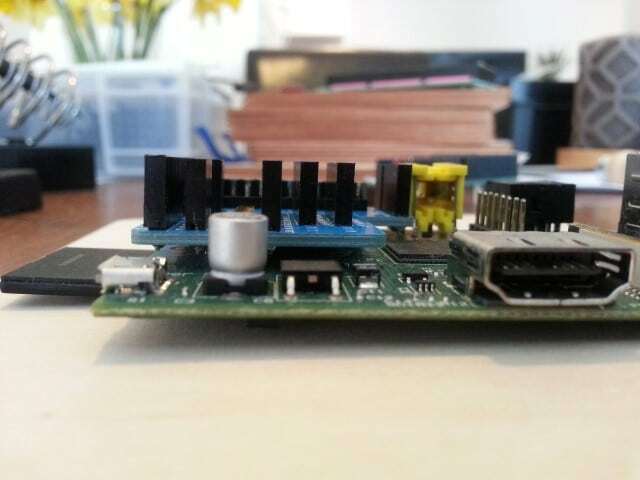 The unit is scarily close to the RPi board but the makers ensure us nervous types that the Pi Crust will not short out the Pi due to the positioning of the headers. Another nice touch is the way the board has a cut out to sit around the DSI connector, they really were eager to make this low profile! Anyone else a bit nervous at the tiny gap here? Be the first to comment on "Building the Pi Crust Breakout Board From Pi-Supply.com"